Here’s a true story from one of our customers. A gas explosion resulted in a major power failure downtown, which in turn left the company’s primary data center offline for a week. This is a classic example of an IT Disaster – unexpected and unpredictable, disrupting business continuity and affecting Always-On operations. We can only imagine how much it could cost that company to stay offline for a week (as much as losing their business, I’d say), if they didn’t have a reliable disaster recovery (DR) plan and an Availability solution to execute this plan. A solid DR plan makes your company resilient to IT disruptions and able to restore your services in case of disaster with minimal to no impact on users and business operations. It’s not just making regular backups, but a complex IT infrastructure assessment and documenting (including hardware, software, networks, power and facilities), business impact analysis of applications and workloads and planning on staff, roles and risk assessment. And above all, there’s an essential testing and exercising of your disaster recovery plan. If you don’t test, how would you know that it works as expected? In the near future, Veeam will release a new solution for scalable, flexible and easier-to-use disaster recovery planning and orchestration – Veeam Availability Orchestrator. This new product will support disaster recovery scenarios for many VMs at multiple locations and provide automated, template-based documentation to meet compliance requirements. If you want to be the first to test it, register now to know when Veeam Availability Orchestrator is GA or to test the Beta right now! The post How to build a disaster recovery plan and enable business continuity with Veeam appeared first on Veeam Software Official Blog. At the beginning of 2016 Veeam released the NEW Veeam Availability Suite v9 and one of the biggest enhancements in the software has been the new version of Veeam Cloud Connect, this time offering replication services. The amount of new options, features and best practices for Veeam Cloud Connect v9 is so impressive that it deserved not just white paper, but a proper book! Luca Dell’Oca, EMEA Cloud Architect for Veeam, has recently presented his new Reference Architecture Guide for Veeam Cloud Connect v9, which goes far beyond your expectations and covers nearly everything you ever wanted to know about setting up cloud services with Veeam. One of the things that cloud services administrators and networking experts may value most in this eBook is the accuracy in providing lab examples as close to a real production environment as possible. And there’s even more – a printed version of the Reference Architecture Guide is coming soon, so you can always have it at hand! For service providers, Veeam Cloud Connect with replication opens new and exciting revenue opportunities through DRaaS offerings. We keep saying that offering DRaaS services with Veeam is EASY and it really IS! This blog post is inspired by Luca’s Reference Architecture Guide and is meant to demonstrate you the fancy logic of Veeam Cloud Connect design. 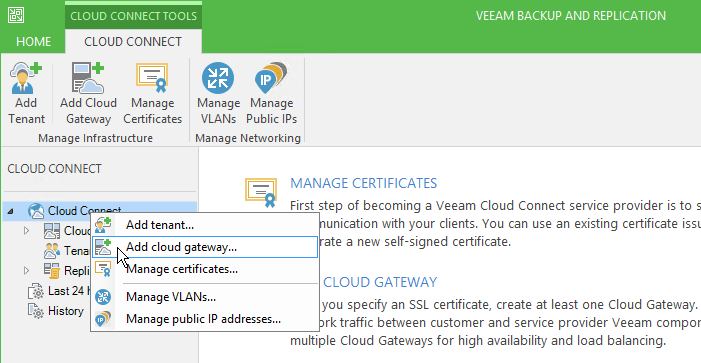 We’ll review the list of key Veeam Cloud Connect architecture components and their roles. This will help you as a service provider architect to easily navigate in the product documentation and start with VCC implementation. Veeam Cloud Connect works with both VMware vSphere and Microsoft Hyper-V virtual environments and leverages Veeam replication technology to create VM replicas at the cloud-based DR site. Its modular architecture includes a number of required and optional components – some of them are cloud-specific and others are a part of Veeam Backup & Replication infrastructure that you’re already familiar with. Thus, to provide DRaaS services with Veeam Cloud Connect you need to have in your infrastructure a Veeam backup server, Veeam Enterprise Manager, proxies and WAN accelerators. What else? On the scheme below you can see several highlighted components – Veeam Cloud Connect Portal, cloud gateways and network extension appliances – all proprietary to Veeam Cloud Connect. Let’s now review their roles and understand their specifics. 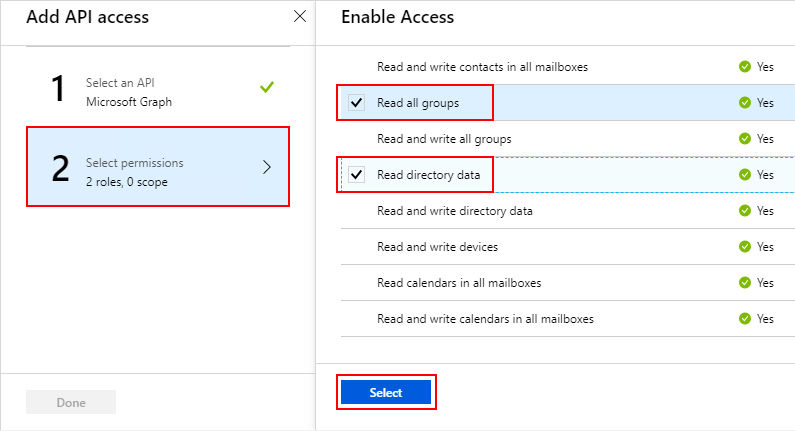 Veeam Cloud Connect Portal (or Cloud Portal) is critical for DRaaS cloud services offerings. 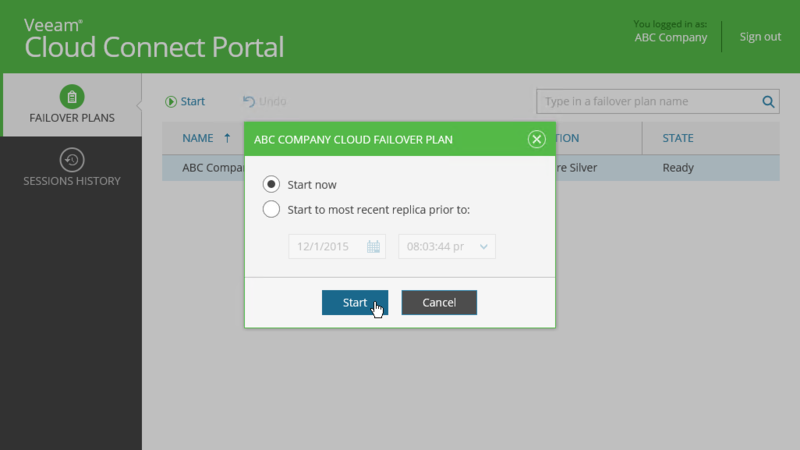 Using Cloud Portal web UI, your tenants can execute their cloud failover plans and instantly switch to their cloud-based VM replicas in case of emergency. 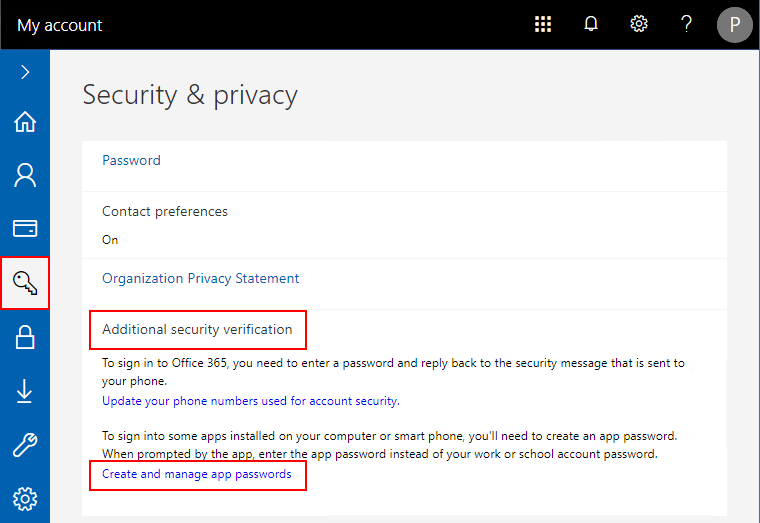 The web-based Cloud Portal operates over a single 6443 TCP port and can be accessed from any device and location over an HTTPS connection. 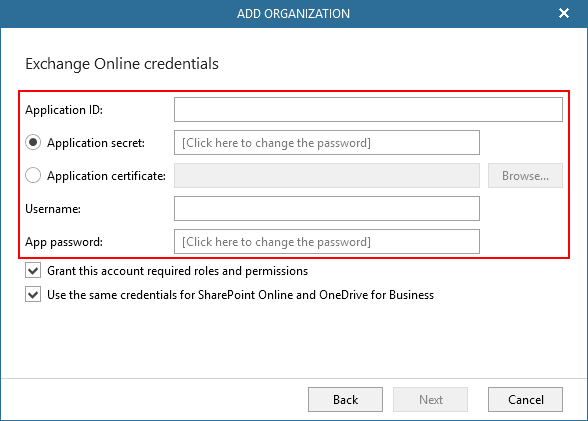 Cloud Portal comes as an additional component of Veeam Enterprise Manager. 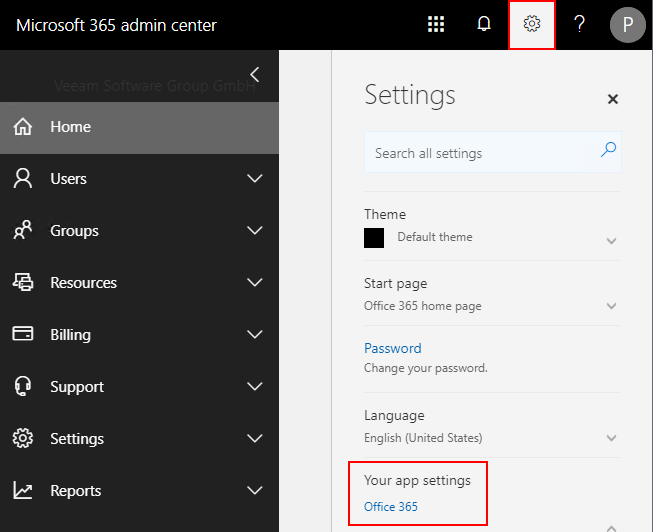 You need to choose its installation during the Veeam Enterprise Manager setup. 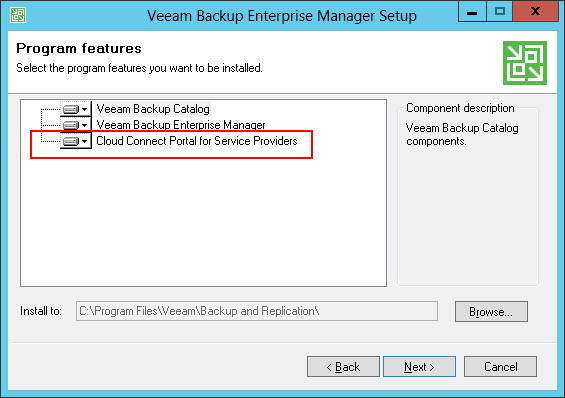 It’s recommended to use a dedicated server for Veeam Enterprise Manager with Cloud Portal installation. Cloud Portal UI is something your tenants will be using regularly and its look can be easily customized to become a part of your branding strategy! You can apply your company’s colors, name and even change the portal name. 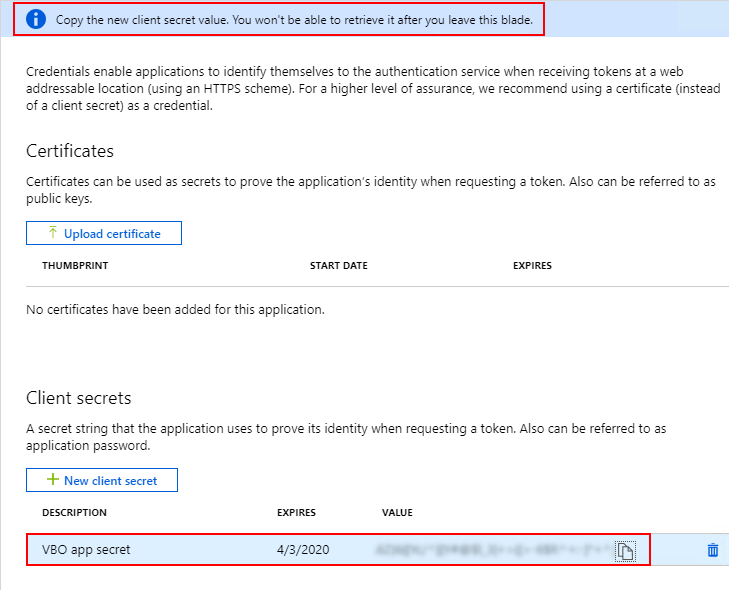 For more details on this, I suggest you to read my colleague’s blog post Veeam Cloud Connect Portal branding. 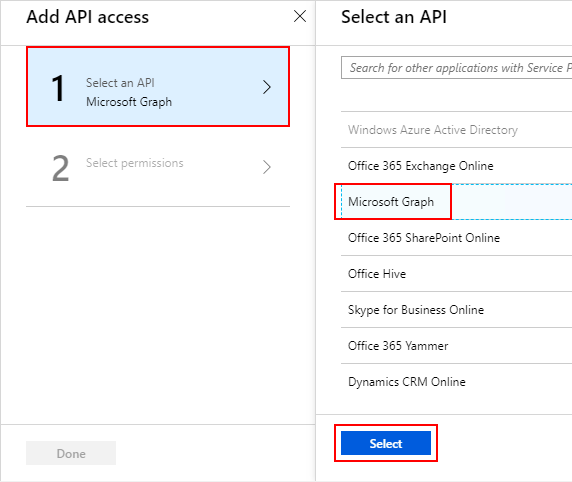 To establish a secure and reliable connection between tenant’s and service provider’s infrastructures Veeam uses cloud gateways – network appliances running on Windows OS (see the full list of requirements). 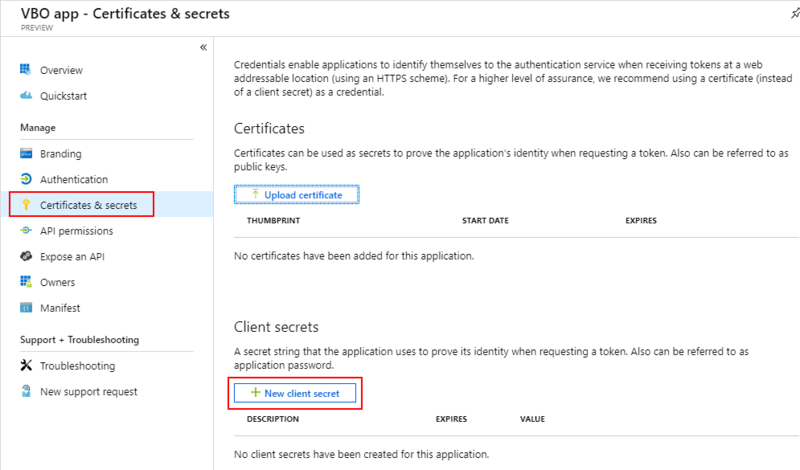 Cloud gateways enable the single-port connectivity for Veeam Cloud Connect by tunneling all data traffic over a single TCP or UDP port (for DRaaS services), secured with an SSL certificate. Cloud gateways also help to balance the traffic load on the service provider side. For better scalability, redundancy and load balancing you can install several cloud gateways and create a pool of such network appliances. The network extension appliance is a Linux-based auxiliary VM created both on tenant and service provider virtualization hosts with source VMs and their replicas to establish communication between them. Network extension appliances are mandatory for enabling DRaaS services and are installed automatically by Veeam Backup & Replication. These tiny VMs are responsible for failover capabilities. During a full-site failover, the network extension appliance provides internet access for replica VMs and makes replicas accessible from the internet. 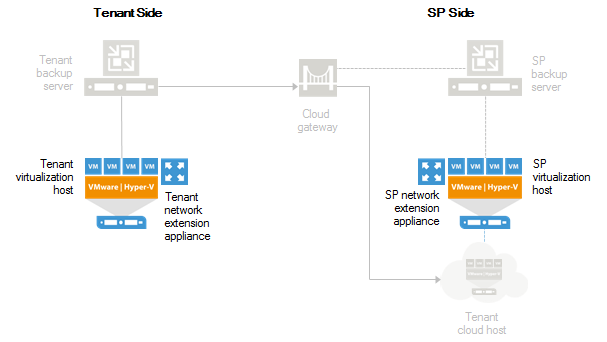 During partial site failover, it extends the customer network to the service provider environment and allows production VMs on the tenant side to communicate with their replicas in the cloud. Veeam Cloud Connect adds just a few specific components to a service provider infrastructure, including a Cloud Portal, cloud gateways and network extension appliances – all required if you’re going to provide DRaaS services. They enable a single-port connectivity between tenant and service provider hosts, route replication traffic and commands, allow tenants to perform full and partial site failover and provide a web-based management portal. Veeam Cloud Connect not only provides you an easy and efficient way to extend your service offering with BaaS and DRaaS, but also allows you to do it within your company’s branding strategy familiar to your tenants. 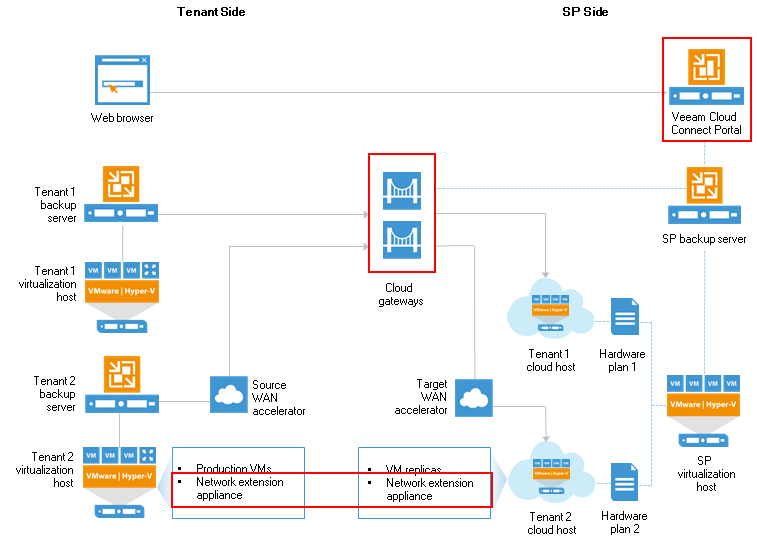 The post Get to know the reference design for replication services with Veeam Cloud Connect v9 appeared first on Veeam Software Official Blog.